Children of Hon. Frances Caroline Hood and Sir John Walrond Walrond, 1st Bt. [S21] L. G. Pine, The New Extinct Peerage 1884-1971: Containing Extinct, Abeyant, Dormant and Suspended Peerages With Genealogies and Arms (London, U.K.: Heraldry Today, 1972), page 282. Hereinafter cited as The New Extinct Peerage. [S6] G.E. Cokayne; with Vicary Gibbs, H.A. Doubleday, Geoffrey H. White, Duncan Warrand and Lord Howard de Walden, editors, The Complete Peerage of England, Scotland, Ireland, Great Britain and the United Kingdom, Extant, Extinct or Dormant, new ed., 13 volumes in 14 (1910-1959; reprint in 6 volumes, Gloucester, U.K.: Alan Sutton Publishing, 2000), volume III, page 323. Hereinafter cited as The Complete Peerage. Her married name became Nelson. After her marriage, Sarah Yonge was styled as Baroness Nelson of the Nile and of Hilborough on 21 October 1805. After her marriage, Sarah Yonge was styled as Countess Nelson of Trafalgar and of Merton on 20 November 1805. From 26 March 1829, her married name became Nelson. 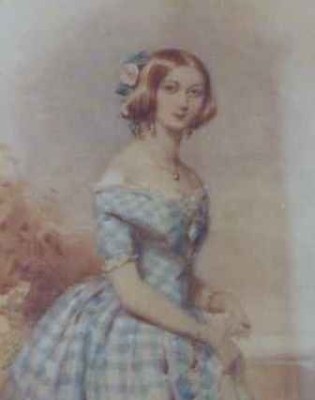 After her marriage, Hilare Barlow was styled as Countess Nelson of Trafalgar and of Merton on 26 March 1829. From 7 February 1837, her married name became Knight.